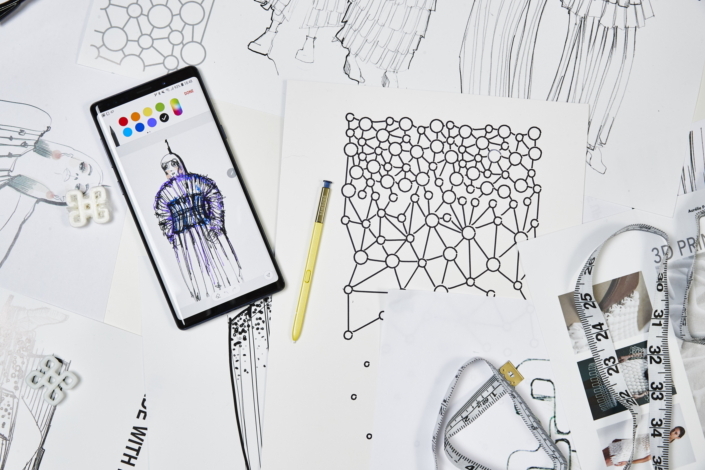 The launch of the Galaxy Note9 ushered in a new era in smartphone productivity, offering standout features that enhance performance and spur innovation. 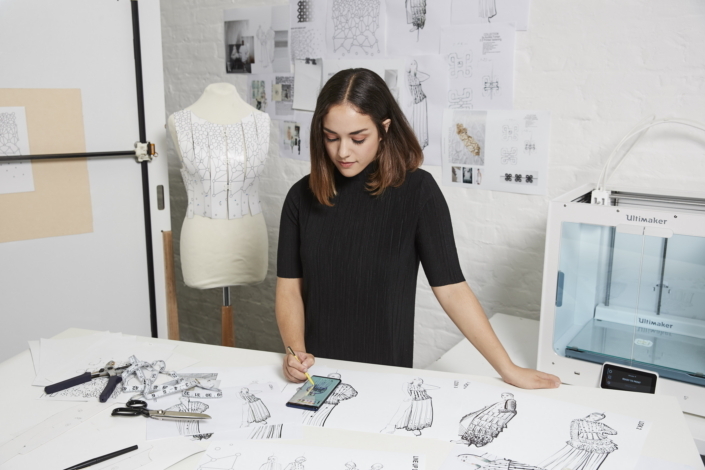 Now, the device’s versatile S Pen, 1TB-ready memory1, powerful processor, all-day battery life and intelligent camera have been utilized to create the world’s first smartphone-produced capsule clothing collection, “Mobile Couture”, in a collaboration with award-winning fashion-designer, Aurélie Fontan. Using the camera and S Pen to source, annotate and save inspiration for her digital sketchbook even while on the move, Fontan also had the freedom to keep large files of diverse formats on the device as she worked, thanks to the device’s large storage capacity. 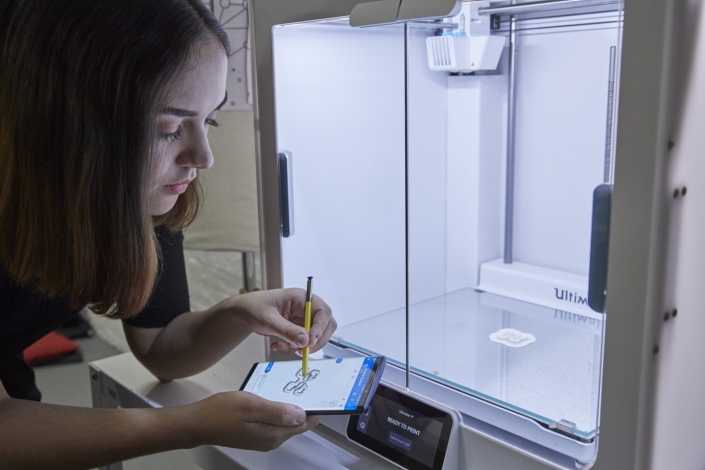 By 3D-printing elements of the garments directly from the Galaxy Note9, Fontan eliminated the computer as an intermediary device, instead relying on the smartphone’s substantial processing power. She was even able to monitor and edit files during the printing process. 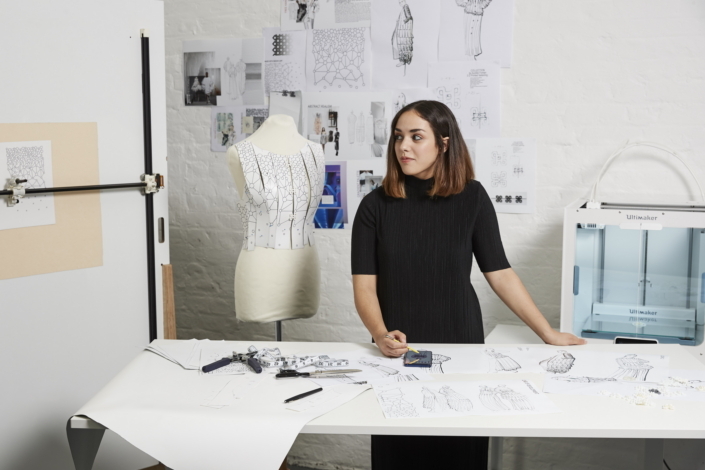 Fontan also used the Galaxy Note9 to wirelessly transmit her fabric pattern designs to be printed onto leather strips. 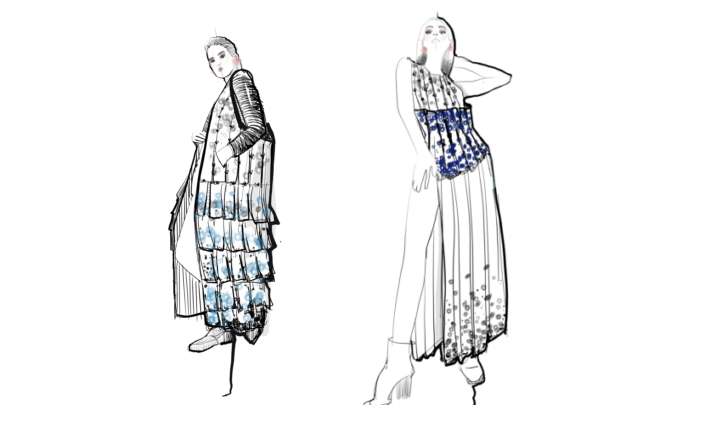 In using the Galaxy Note9, the time taken to craft the collection was dramatically reduced, allowing Fontan to work quickly to create beautiful garments with these innovative techniques. 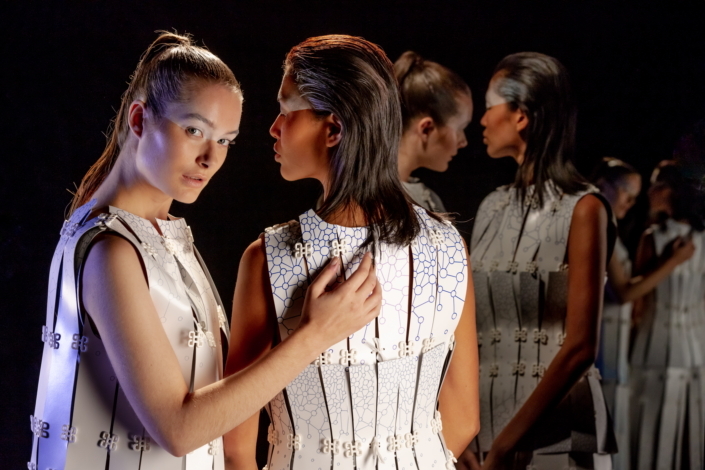 Technology and sustainability work in harmony in the “Mobile Couture” collection. Recycled leather was used to create the base, which is made of shredded leather scraps and residues, whilst the 3D fastenings were made from the biodegradable material PLA (polylactic acid), a renewable resource derived from corn starch. 1512GB internal memory as standard. 512GB models available in select countries. Up to 512GB additional storage with external SD card (sold separately).